Patrick took Matt, Chiefy and I on a location scout today, but he also took us to some of his favorite spots. Cafe Trieste is an old Italian coffee house in North Beach where Jack Kerouac, Richard Brautigan and Allen Ginsberg used to hang out. There are still a bunch of old guys that hang out there, it's pretty cool. We had Africanos, which is espresso with a little milk. For lunch we went to Tornado Pub and watched Celtics v Cavs. 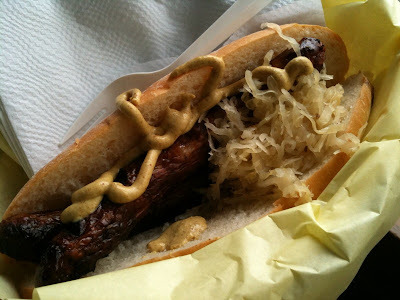 and ate a Nurenberger Bratwurst from Rosamunde Sausage Grill on Haight Street, pretty San Francisco-y. 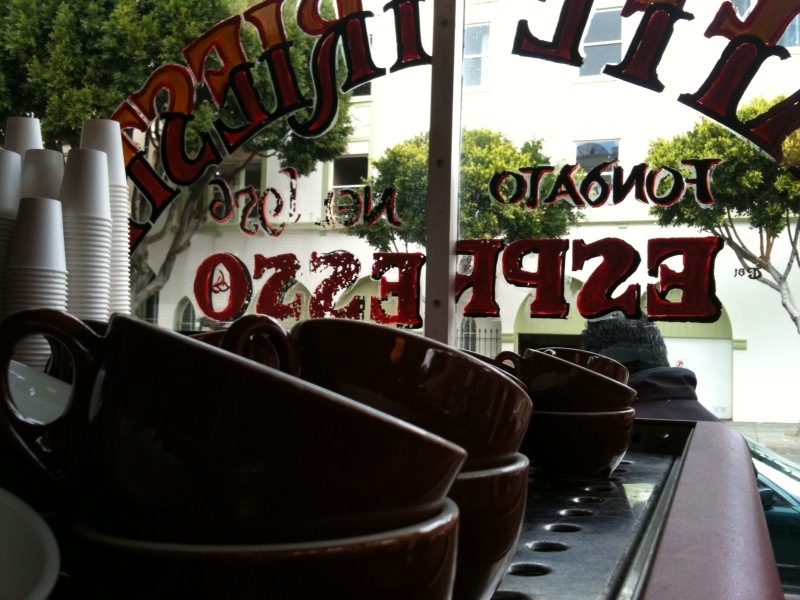 Cafe Trieste is great. Have you had drinks at Vesuvio yet and stood out on Jack Kerouac Alley between the bar and City Lights? Also, Rosamunde's is good, but nothing beats a visit from the Tamale Lady or a late night cheesesteak at Thrill of The Grill in The Mission.